As the last hint of daylight gets snuffed out by nightfall, Ann Siang Hill erupts into a cacophony of feasting, drinking and merrymaking. 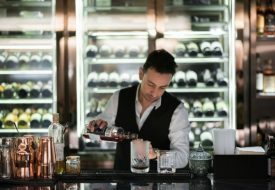 If you’re looking for a respite from a day’s work, venture deeper — below ground level to be precise — to American-style cocktail bar Catchfly. 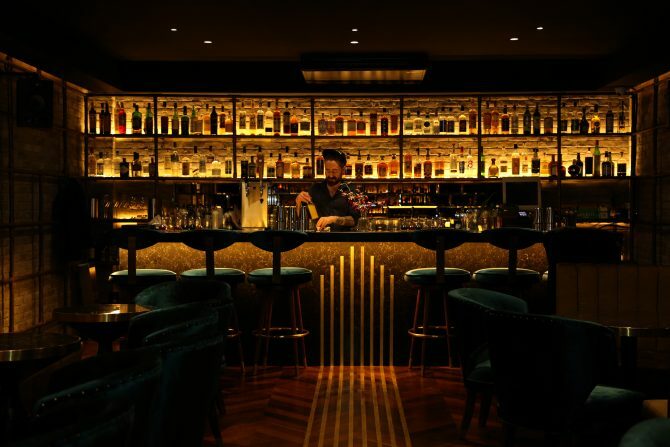 Nestled in the basement of the new multi-concept lifestyle destination 12 Ann Siang, the bar is fully stocked with a curated range of American spirits to last a night of hearty drinking. The intimate space is awash with soft lighting that bounces off plush velvet armchairs and black marble fixtures, offering a luxurious contrast to the industrial edge of its exposed brick walls. On most nights at Catchfly, you’d find New York City-born Head Mixologist, Liam Baer putting on an elaborate show by remixing the good ol’ American cocktails with a naughty zing. While reworking the classics is not new in the cocktail realm, Baer’s drinks incorporate his own infusions and syrups made via a series of culinary techniques. His house-made ingredients are then thoughtfully blended into base spirits to create cocktails, where each taste notes shines in its own right. 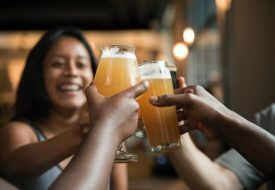 Fickle-minded drinkers will appreciate that Catchfly’s myriad of cocktails are segregated into four tasting profiles namely: Revitalising and Crisp, Smooth and Sensual, Adventurous and Low ABV. For a refreshing start, try the signature The Honey Badger ($22). 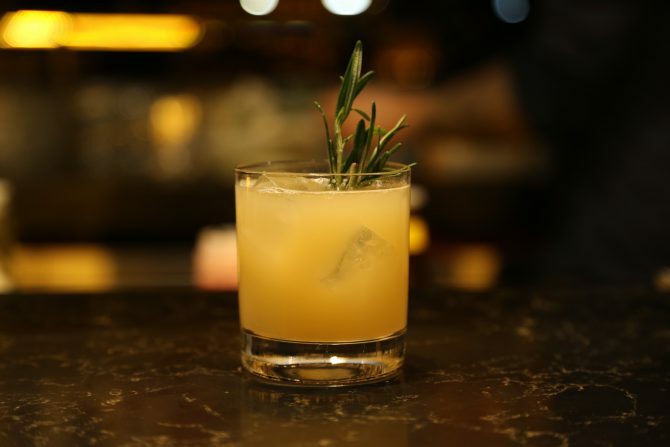 Blended with yellow chartreuse, and a dose of lemon, ginger and honey, the cocktail also features Baer’s house-made rosemary-infused bourbon, which comes through with every sip. If you’re feeling adventurous, go for the Taco Truck ($22) or It’s Not The R, It’s The Sea ($23). 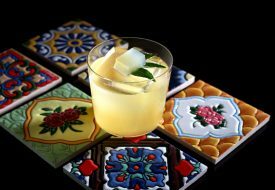 Garnished with a peppered pineapple wedge, the former stay true to its Mexican name with lacings of tequila and mezcal, while the infusions of habanero shrub (a vinegar-based syrup) and coriander provided an earthy aftertaste. The other drink thrills with its adorable tiki-style presentation and offers a tropical concoction of rums, coconut cream and macadamia orgeat — perfect for those yearning an island getaway. 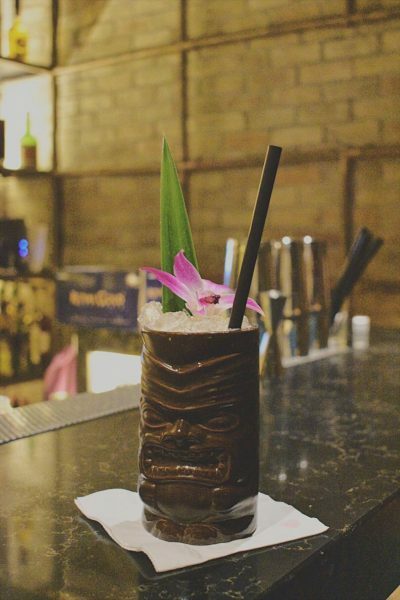 Those hankering after a potent drink will enjoy the scotch-blended This Monkey’s Gone To Heaven ($24). Lightweights who want in on the intoxicating fun may opt for the floral-tasting 30/30 ($17), which contains elderflower liqueur mixed with passion fruit and lemongrass. 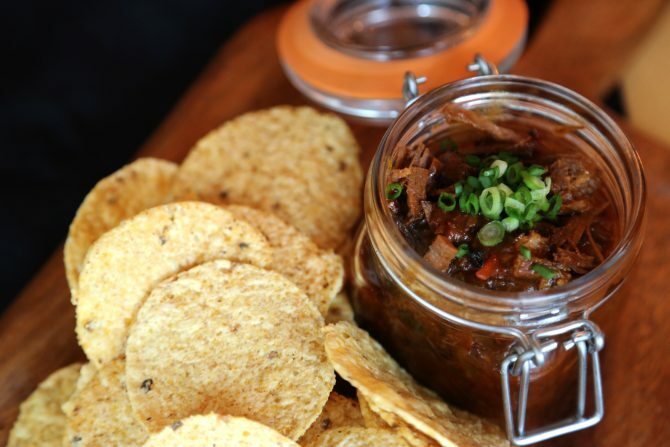 To curb your munchies, order the Kimchi Beef Chilli with Corn Chips ($21). Although the beef came rather chunky, the dish was delightfully savoury with a spicy kick. For mains, try the Baby Lamb Chops ($28), which was charcoal-grilled to medium rare perfection. A resounding favourite had to be the Black Angus Beef Burger ($23). Wedged between two brioche buns, the patty was juicy and flavourful. So if you ever want to beat the rambunctious crowds at Ann Siang, head to this secluded sanctuary of quirky nightcaps.